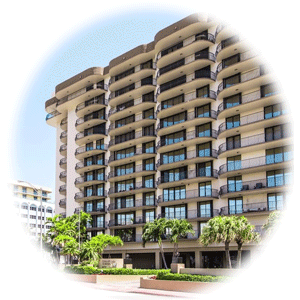 Champlain Towers condos in Surfside FL. Luxury beachfront residences offering full services and amenities. Three luxury condo towers to choose from in Champlain beachfront community in Surfside FL. Please Contact Us or give us a CALL 786-505-4786 if you have a question about the Champlain Towers condos for sale. Located in the center of the city of Surfside, Champlain Towers are within walking proximity to everything. Shops, cafe, restaurants, boutiques and best of all beach. Amazing expansive views of the Ocean and City. Development has something for every buyer. Spacious residences, open floor plans updated kitchens and so on. Located on the sandy beachfront of Atlantic Ocean at 8877 Collins Av, 8777 Collins Av and 8855 Collins Av Champlain Towers complex are a small luxury resort community. Build in 1980th condo complex offer roomy one, two and three bedroom units. Open floor plan layouts and updated spacious modern residences. 12 stories high and home to 346 total residences between the three complex towers, apartments in Champlain Towers offers a beachfront location with Ocean, Intracoastal and City views. Some of the amenities offered at Champlain Towers condos include fitness center, beautiful heated pool, well-stocked library, convenience to local stores and restaurants and best beach in North Miami. Most of the condos have been upgraded and updated to include luxury kitchens with granite countertops, marble and porcelain tile, stainless steel appliances and luxuriously appointed bathrooms. Living at Champlain Towers is a vacation year round. Located in the center of Surfside and close proximity to Miami and Bal Harbour. Condo Towers North, South, and East are at the very heart of all this incredible wonder. Close to malls, schools, major highways, airports, beaches and so much more. Give us a call 786-505-4786 and let out agents help you find the one that matches your needs out of all the condos for sale in Champlain Towers.